Accessing Queenstown’s hidden scenic gems means leaving the highway and taking to the back roads to unveil a world you’d never know existed. Never was an area more tailor-made to make Tolkien’s fantasy vision a reality on the big screen. 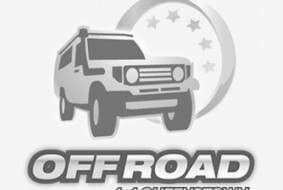 This Lord of the Rings tour will take you through numerous chapters from the trilogy’s and multiple other movies cinematic home, utilising off-road vehicles to their limits to reach the directors’ perfect spots. This tour is a favourite with visitors because over four hours you get to sample the varied beauty of areas like Skippers Canyon, Arrowtown and the Gibbston Valley. Our knowledgeable local guides have plenty of information on the movies as well as the area’s history. Even those who missed the movies will be spellbound by the scenery of the Wakatipu Basin. •	And a short journey down Skippers Canyon. •	Refreshments and on-site multimedia presentations included. Pick up from accommodation available from central Queenstown.Refreshments and a Multimedia presentations on IPad including mandarin translation. We recommend wearing sensible clothing and bringing a camera. Minimum age to join a standard tour is six years old. With younger families we can just offer a private charter tour option. The tour begins with a breath-taking journey along the shores of Lake Wakatipu. This is one of New Zealand’s most famous scenic road journeys with spectacular views around each bend. After passing through the sleepy township of Glenorchy at the base of the lake we enter the awe-inspiring Mt Aspiring World Heritage area where Middle Earth comes to life. You will literally arrive in Paradise to enjoy some refreshments with the glacial lakes, ancient forests and neck stretching peaks of the film trilogy as your backdrop. Throughout the tour our experienced local guides will give you great insight into why the region was an inspiration for so many movies and how it has brought the vision of Jackson and Tolkien to life on the big screen. •	Paradise, Dart and Rees River. Pick up from accommodation available from central Queenstown. Refreshments and a Multimedia presentations on IPad including mandarin translation. Skippers Canyon is a stunningly beautiful site of the 1860s gold rush that eclipsed the scale of the legendary Klondike. The world famous canyon is packed with relics, workings and astonishing stories of man against the elements. The road itself into the canyon, with it’s vertical drop offs either side of the vehicle as you travel into the heart of canyon, is thrilling in itself. After negotiating the famous Skippers Canyon bridge you will enjoy a refreshments stop at the old schoolhouse, deep in the canyon. Only the experienced professionals at the wheel of our 4x4’s can truly put you inside the hearts and minds of the people who strived in Skippers Canyon to win their gold. A wealth of facts, figures and anecdotes bring history back to life before your eyes. •	Stunning New Zealand backcountry adventure. This tour is only available as a charter option and the listed price is per vehicle - private tour for up to 7 pax per vehicle. Allow up to 4 hours. This half day tour is the best possible way to take in all the highlights of the Wakatipu region over an amazing four hours. Firstly enjoy sampling the breath taking scenery and off road fun that come with travelling through Skippers Canyon, Arrowtown and up the Arrow River. After which we will take you to two of the regions finest wineries to cap off your tour with some delicious wine tasting. 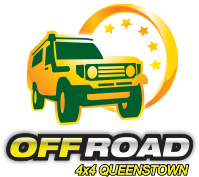 As a local family owned and operated business with years of local knowledge, you could not be in better hands with our Off Road 4X4 Queenstown guides. Our private charters are very personalised, ensuring you really make the most of your time with us. Amazing full day wine charters available upon request. Pick up from accommodation available from central Queenstown. Wine tastings at 2 wineries. Multimedia presentations on IPad including mandarin translation. The is tour is only available as a charter booking and the price listed is per vehicle- private for up to 7 pax per vehicle. A tailor made private charter tour to take some of the most spectacular South Island destinations. Pick up from accommodation available from central Queenstown. Multimedia presentations on IPad including mandarin translation. *Allow up to 4 hours.